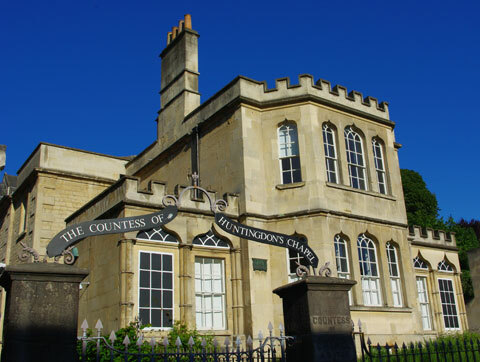 The Museum of Bath Architecture is housed in the Countess of Huntingdon’s Chapel, built in 1765 for Selina Hastings, Countess of Huntingdon. The use of Gothic revival motifs in the chapel reflected a preference for an alternative to the ancient Greek and Roman classicism that pervaded architecture during the early-to-mid-eighteenth century. When it was finished, Lady Huntingdon’s Chapel was the only consequential post-medieval Gothic in Bath, since most new architecture of the eighteenth century of that style was reserved for sham castles or follies tucked in the gardens of large country estates. 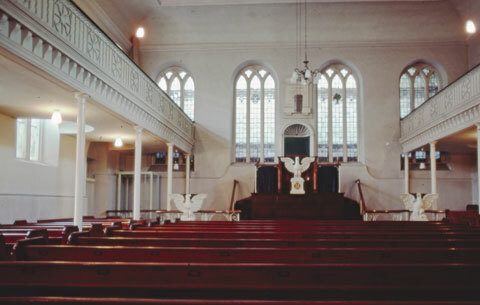 Lady Huntingdon built many Methodist chapels across the country, collectively known as her ‘Connexion’; the one in Bath is the only one based on her designs that survives today. As she was a friend of Horace Walpole, Lady Huntingdon might have been influenced by Strawberry Hill in building the chapel in the Gothic style. Walpole, upon visiting the chapel, gave his opinion of the building; “[it] is very neat, with true Gothic windows, yet I am not converted.” The front facade features two sets of tripartite windows with ogee-heads on a two-storey canted bay window where the chaplain’s apartment would have been. The chapel itself is located at the back of the building, away from the street, and is where the Museum of Bath Architecture now resides. 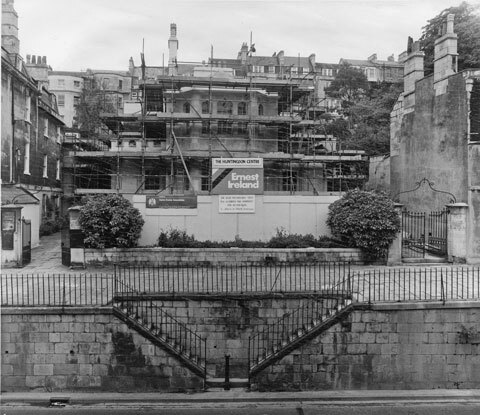 As a functioning chapel it was airless, with a flat ceiling and a second storey gallery, both of which are still recognisable today. 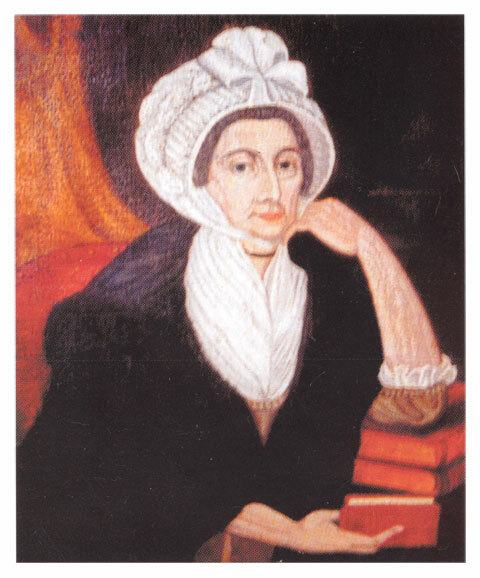 As an evangelical, Lady Huntingdon recognised the immorality of the social scene in Bath, and sought to build a place in the Vineyards where she could direct her campaign to spread Methodism. She was an ardent follower first of John Wesley and then of George Whitefield, the latter an itinerant preacher who became her personal chaplain. The aristocratic elite regarded evangelical worship as subversive, and it it impossible to know to what extent Lady Huntingdon’s efforts to disseminate Methodism were successful in Bath. She did, however, have an impact on religious life in the Americas, specifically among African American slaves (including writer, Phyllis Wheatley) through correspondence and her connection to Whitefield. Through the nineteenth century, the congregation dwindled until the chapel became the Trinity Presbyterian Church. The chapel was last used for worship in 1981. The Bath Preservation Trust acquired it in 1983 as it needed significant restoration – in particular, the roof was in a parlous state and required urgent attention. A fundraising campaign was launched and the Trust restored the building, opening it originally as the Huntingdon Heritage Centre for the education activities of the Trust. 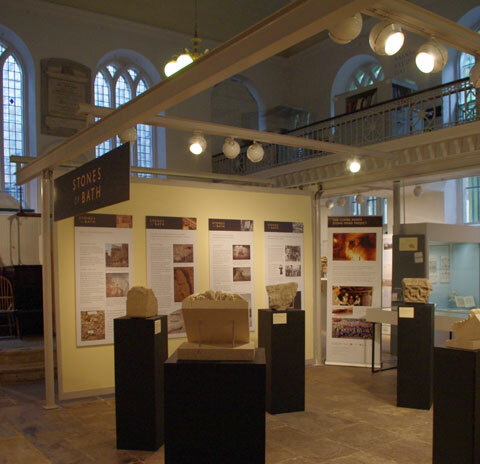 The Huntingdon Heritage Centre was reincarnated as the Building of Bath Museum in 1992, to provide a permanent home for a very successful temporary exhibition on the building of Bath in London. Today the museum is known as the Museum of Bath Architecture and it features a display about the life of Lady Huntingdon in addition to the permanent collection. Pevsner Architectural Guides: Bath, Michael Forsyth. (Yale University Press, London, 2003). 246. The Georgian Buildings of Bath, Waltor Ison. (Bath Preservation Trust, 1996). 73. Selina, Countess of Huntingdon, Robert Bennet. (Newline Commercial Print). You can find out more information about the Bath Preservation Trust archives and library here. In 2016 we were delighted to reveal that we were successful in purchasing John Wood the Elder’s beautiful set of drawing instruments. They were sold at Clevedon Auction Rooms on 10 March 2016 for a total price, including commission, of £26,000. We acquired them with support from the Art Fund, the Arts Council England/Victoria and Albert Museum Purchase Grant Fund and several local donors. The set, which is engraved with John Wood the Elder’s name and crest, is already on public display in the Museum of Bath Architecture, along with other items describing Wood’s contribution to the design and development of the World Heritage City. 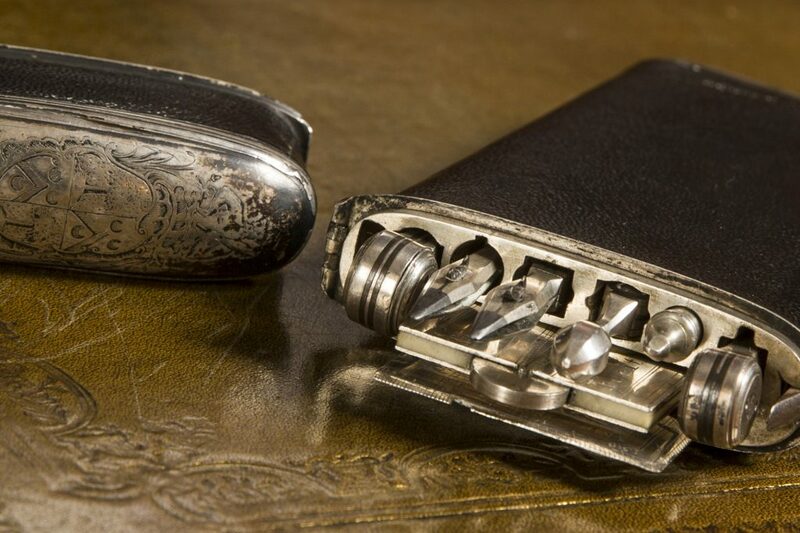 Made by leading C18th mathematical instrument maker Thomas Heath, the exquisite items were in private hands before the sale, their full significance lost behind years of tarnish. ‘As soon as we saw the drawing instruments, we knew that the most appropriate home for them was back in Bath and on public display so that all who love Bath’s buildings could get a further insight into how they were created. The set can be seen in the Museum of Bath Architecture which celebrates the 18th century architecture of Bath and interprets the built heritage of this famous city. ‘We are immensely grateful to the Art Fund, The ACE/V&A Purchase Grant Fund and pledges from several local donors who responded in an amazingly short time so that we could secure the set despite determined bidding from others on the day’. “The ACE/V&A Purchase Grant Fund is pleased to be able to support this acquisition. Bath Preservation Trust made a strong argument for their purchase. It is highly appropriate that the instruments are shown close to the buildings they ‘helped’ design and in a display focussed on the architects who used them”.